Jan Kucera of the Europan Commission's Joint Research Centre is supervising the technical aspect of the Copernicus Emergency Management Service (EMS). 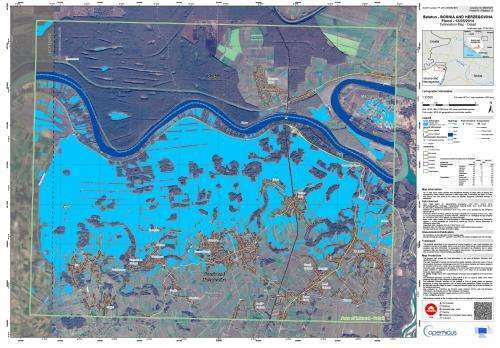 While mapping the flooding in northeastern Bosnia and Herzegovina, ESA delivered a radar scan from Sentinel-1A: "I had a first look and discovered that we were missing an important flooded area visible in the middle of the image." "In emergency situations like these, it is important that we optimise all the available data to produce better maps for disaster relief efforts." The radar on Sentinel-1 is able to 'see' through clouds, rain and in darkness, making it particularly useful for monitoring floods. Images acquired before and after a flood offer immediate information on the extent of inundation and support assessments of property and environmental damage. 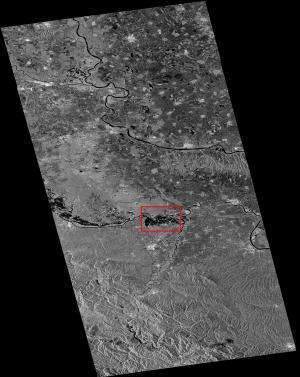 Sentinel-1A was launched on 3 April, and is the first in a fleet of Sentinel satellites developed for Europe's Copernicus environment monitoring programme.